1. Have all of your online purchased ship FREE any day, to any state, no matter the size of the order? 2. Get $90.00 worth of Seasonal Skincare Products delivered to your door each year for FREE? 3. Save 10% every time you shop in-store and have priority buying power on new and limited edition products? Activate your rewards now for only $99 and save all year long! 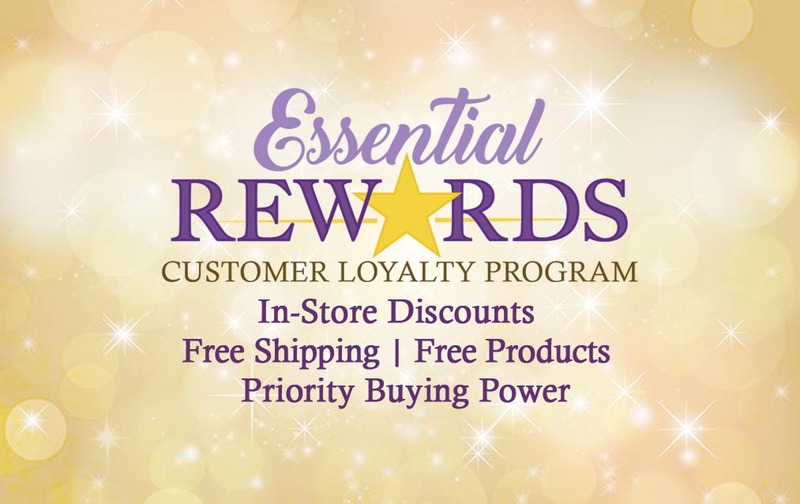 Please note, you will not be able to purchase other products at the time of signing up for the Essential Rewards program. © 2017 Amish Country Soap Co. | All rights reserved.